This recipe really intrigued me when I first read it. It got me hooked when I read “absolutely fabulous”. With only 5 ingredients, I had to try it. It’s true, they are “absolutely fabulous”. Just ask my husband, “the cookie monster”. He said I needed to get this recipe on my blog quick, because there is people out there that don’t know what they are missing. Preheat oven to 350 degrees. Cream together butter and cream cheese; add sugar, beating until light and fluffy. Add flour and beat well. Stir in pecans. 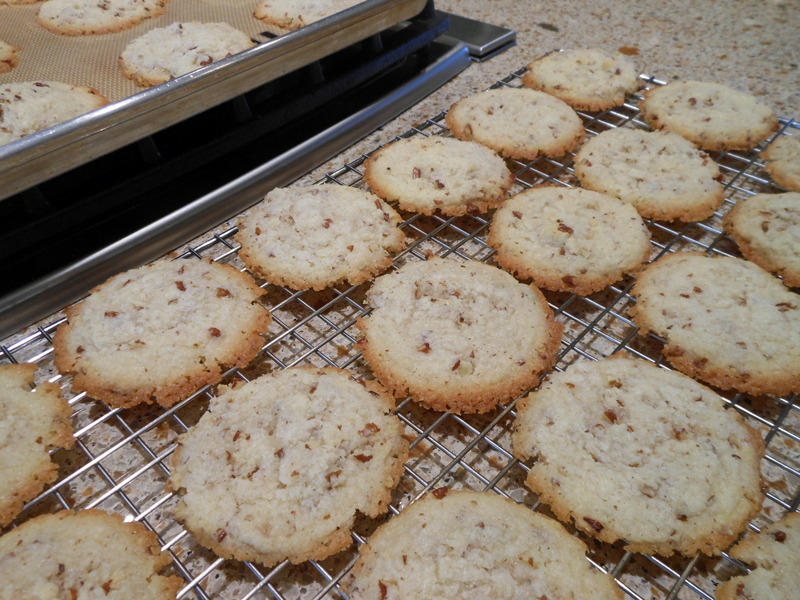 Drop by teaspoonfuls (I used a small cookie scoop) onto ungreased cookie sheet and bake for 12 to 14 minutes.